Well its official I have broken my Hamilton Beach Blender. This is a somewhat sad small appliance to break. I have had this same blender since my husband and I lived in our first place place. We bought it right after my 21st bday to make drinks for parties we hosted. I bought it for the Ice Breaker function. I loved making smoothies, home made coffee drinks and mixed drinks. Oh the memories a small appliance can have! You dont realize how sturdy something was or how long you have had it until you break it. I am sure that blender would have kept going if not for me and my multi tasking. This morning I was making a smoothie like I always do. Instead of holding my hand on top of the container as it blended I wanted to put a pizza in the oven just really fast. 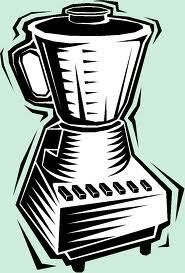 Well my loyal blender got mad at me ignoring him during his shining moment of turning frozen fruit into a smooth as silk drink. The container shifted a bit causing it to come up from the spinning gears and it spun like crazy against the bottom of the container. There was a lot of smoke, my son yelling Oh No! and me baffled as to why did I have to take my hand off it. I broke my Hamilton and now must say farewell to my loyal blender who for 10 years has kept up with whatever I threw at him and made it awesome! But guess what?!??! This means I need a NEW Blender. I must get over the loss of my old friend with a new one!! What blender do you recommend? ?